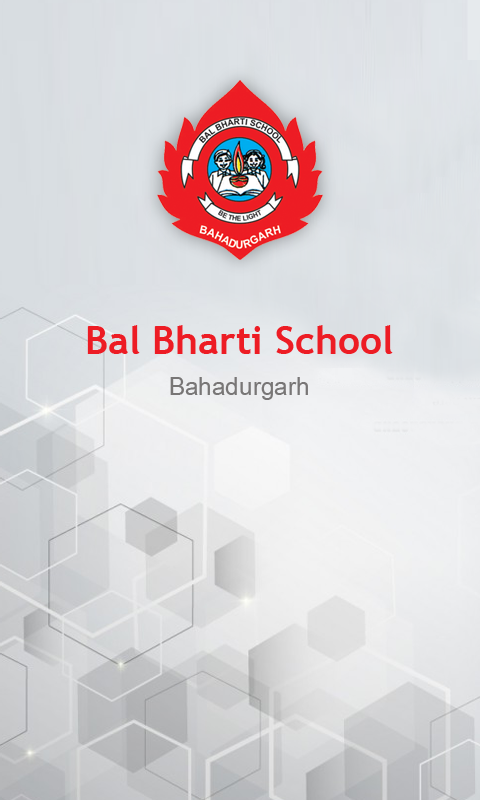 Bal Bharti School Bahadurgarh with Edunext Technologies Pvt. Ltd.(http://www.edunexttechnologies.com) launched India's first everAndroid app for schools. This app is very helpful app forparents,students,teachers & management to get or uploadinformation about student. Once the app is installed on the mobilephone, student,parent,teacher or management starts getting oruploading information for student or staff attendance, homework,results, circulars, calendar, fee dues, library transactions, dailyremarks, etc. The best part of school is that, it frees schoolsfrom mobile sms gateways which most of the times get choked orbarred in case of emergency. Another interesting feature of the appis that the information till the last update can be viewed even ifthere is no internet connectivity on the mobile. AHPVSE dehradun inassociationwithEdunextTechnologiesPvt.Ltd. (http://www.edunexttechnologies.com)launched India'sfirsteverAndroid app for schools. This app isvery helpfulappforparents,students,teachers & management togetoruploadinformation about student. Once the app is installedonthemobilephone, student,parent,teacher or managementstartsgettingoruploading information for student orstaffattendance,homework,results, circulars, calendar, feedues,librarytransactions, dailyremarks, etc. The best part ofschool isthat,it frees schools frommobile sms gateways which mostof thetimesget choked or barred incase of emergency.Anotherinterestingfeature of the app is thatthe information tillthe lastupdate canbe viewed even if there isno internetconnectivity onthemobile. Golden Bells a play school (http://goldenbellsdelhi.com/) in associationwith Edunext Technologies Pvt. Ltd. (http://www.edunexttechnologies.com) launchedIndia's first ever Mobile app for schools on 25th March, 2014. Veryhelpful app for parents to get update about their kids. Once theapp is installed on the mobile phone, student/parent starts gettingnotifications for student attendance, homework, results, circulars,calendar, fee dues, library transactions, daily remarks, etc. Thebest part of myMschool is that, it frees schools from mobile smsgateways which most of the times get choked or barred in case ofemergency. Another interesting feature of the app is that theinformation till the last update can be viewed even if there is nointernet connectivity on the mobile. RAN Public School Bilaspur in association with Edunext TechnologiesPvt. Ltd. (http://www.edunexttechnologies.com) launched India'sfirst ever Android app for schools. This app is very helpful appfor parents,students,teachers & management to get or uploadinformation about student. Once the app is installed on the mobilephone, student,parent,teacher or management starts getting oruploading information for student or staff attendance, homework,results, circulars, calendar, fee dues, library transactions, dailyremarks, etc. The best part of school is that, it frees schoolsfrom mobile sms gateways which most of the times get choked orbarred in case of emergency. Another interesting feature of the appis that the information till the last update can be viewed even ifthere is no internet connectivity on the mobile. Delhi Public School Surat (http://www.dpssurat.net/index.php) inassociation with Edunext Technologies Pvt. Ltd.(http://www.edunexttechnologies.com) launched India's first everMobile app for schools on 10th April, 2015. Very helpful app forparents to get update about their kids. Once the app is installedon the mobile phone, student/parent starts getting notificationsfor student attendance, homework, results, circulars, calendar, feedues, library transactions, daily remarks, etc. The best part ofmyMschool is that, it frees schools from mobile sms gateways whichmost of the times get choked or barred in case of emergency.Another interesting feature of the app is that the information tillthe last update can be viewed even if there is no internetconnectivity on the mobile. St.Paul's School Katni in association withEdunext Technologies Pvt. Ltd. (http://www.edunexttechnologies.com) launchedIndia's first ever Android app for schools. This app is veryhelpful app for parents,students,teachers & management to getor upload information about student. Once the app is installed onthe mobile phone, student,parent,teacher or management startsgetting or uploading information for student or staff attendance,homework, results, circulars, calendar, fee dues, librarytransactions, daily remarks, etc. The best part of school is that,it frees schools from mobile sms gateways which most of the timesget choked or barred in case of emergency. Another interestingfeature of the app is that the information till the last update canbe viewed even if there is no internet connectivity on themobile. Delhi Public School Gaya (http://www.dpsgaya.com/) in associationwith Edunext Technologies Pvt. Ltd.(http://www.edunexttechnologies.com) launched India's first everMobile app for schools on 16th May, 2015. Very helpful app forparents to get update about their kids. Once the app is installedon the mobile phone, student/parent starts getting notificationsfor student attendance, homework, results, circulars, calendar, feedues, library transactions, daily remarks, etc. The best part ofmyMschool is that, it frees schools from mobile sms gateways whichmost of the times get choked or barred in case of emergency.Another interesting feature of the app is that the information tillthe last update can be viewed even if there is no internetconnectivity on the mobile. MDH International School in association with Edunext TechnologiesPvt. Ltd. (http://www.edunexttechnologies.com) launched India'sfirst ever Android app for schools. This app is very helpful appfor parents,students,teachers & management to get or uploadinformation about student. Once the app is installed on the mobilephone, student,parent,teacher or management starts getting oruploading information for student or staff attendance, homework,results, circulars, calendar, fee dues, library transactions, dailyremarks, etc. The best part of school is that, it frees schoolsfrom mobile sms gateways which most of the times get choked orbarred in case of emergency. Another interesting feature of the appis that the information till the last update can be viewed even ifthere is no internet connectivity on the mobile. Baluni Public School (http://www.balunipublicschool.com/) inassociation with Edunext Technologies Pvt. Ltd. (http://www.edunexttechnologies.com) launchedIndia's first ever Mobile app for schools on 24th june, 2015. Veryhelpful app for parents to get update about their kids. Once theapp is installed on the mobile phone, student/parent starts gettingnotifications for student attendance, homework, results, circulars,calendar, fee dues, library transactions, daily remarks, etc. Thebest part of myMschool is that, it frees schools from mobile smsgateways which most of the times get choked or barred in case ofemergency. Another interesting feature of the app is that theinformation till the last update can be viewed even if there is nointernet connectivity on the mobile.